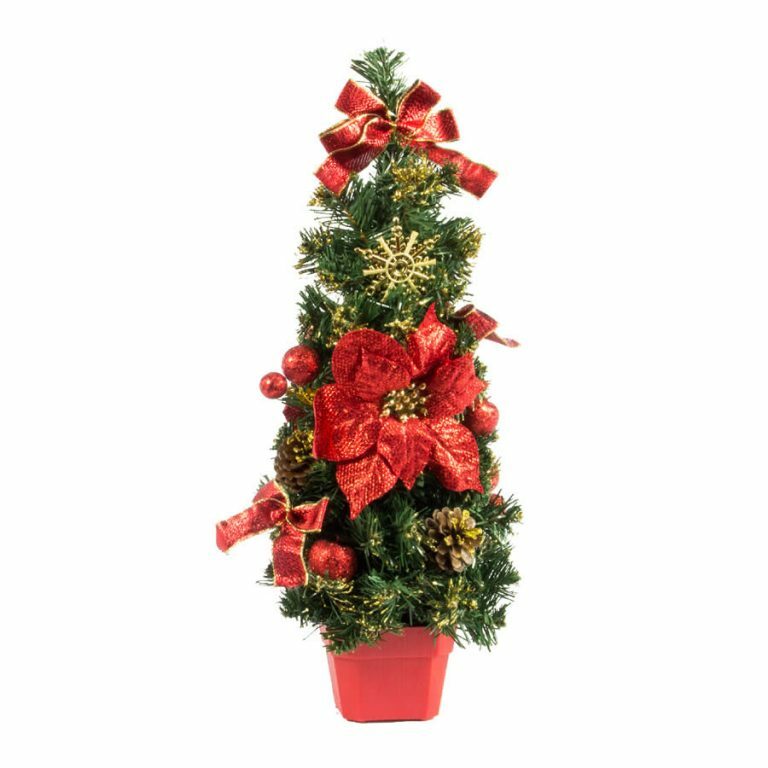 The Gold Table Christmas Tree is the perfect little tree to use as a centrepiece for your Christmas table, or on a hall table or mantel. 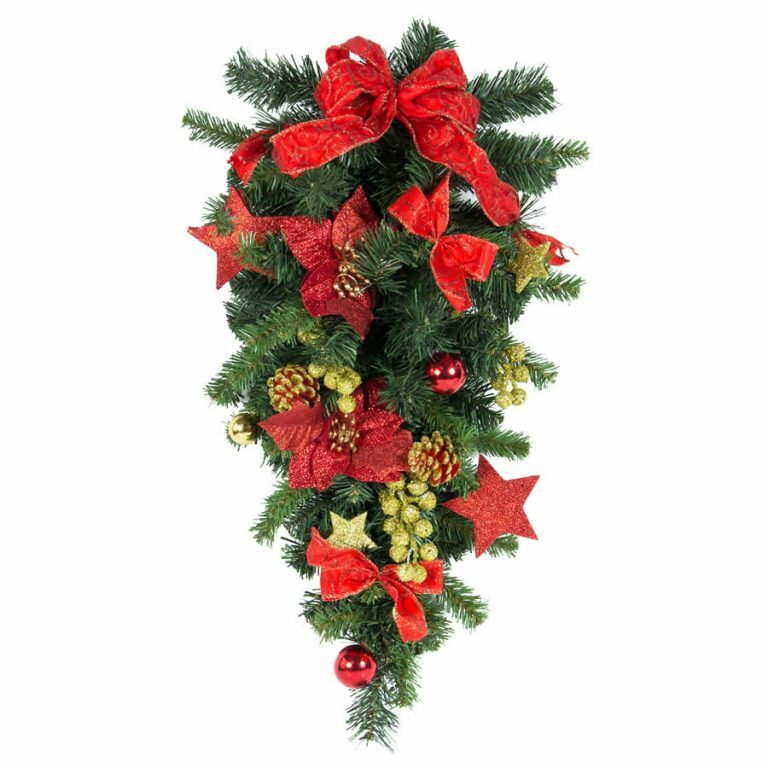 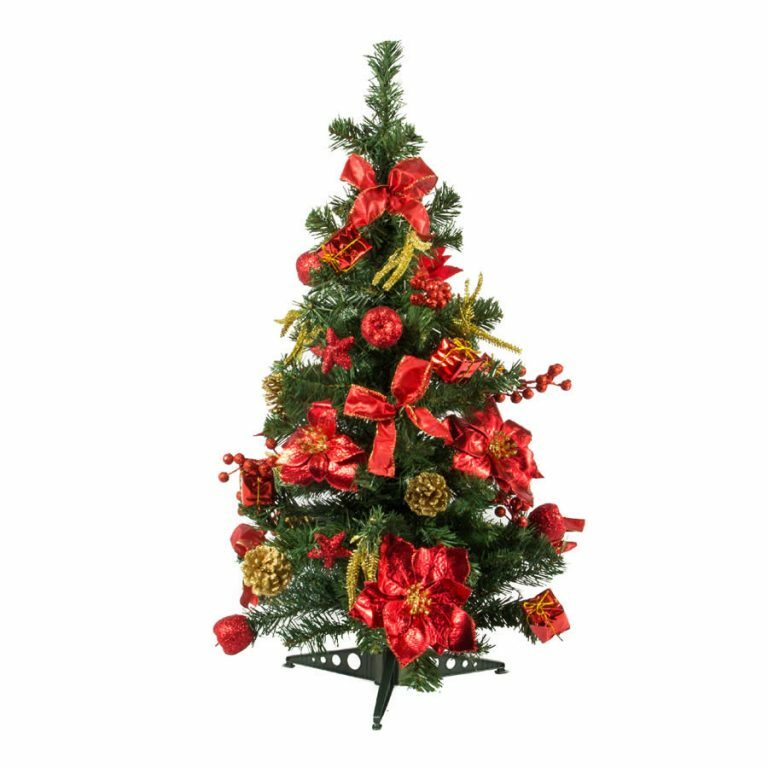 At only 80cm this tree can easily fit into your existing decorations, or can be used as a standalone decoration. 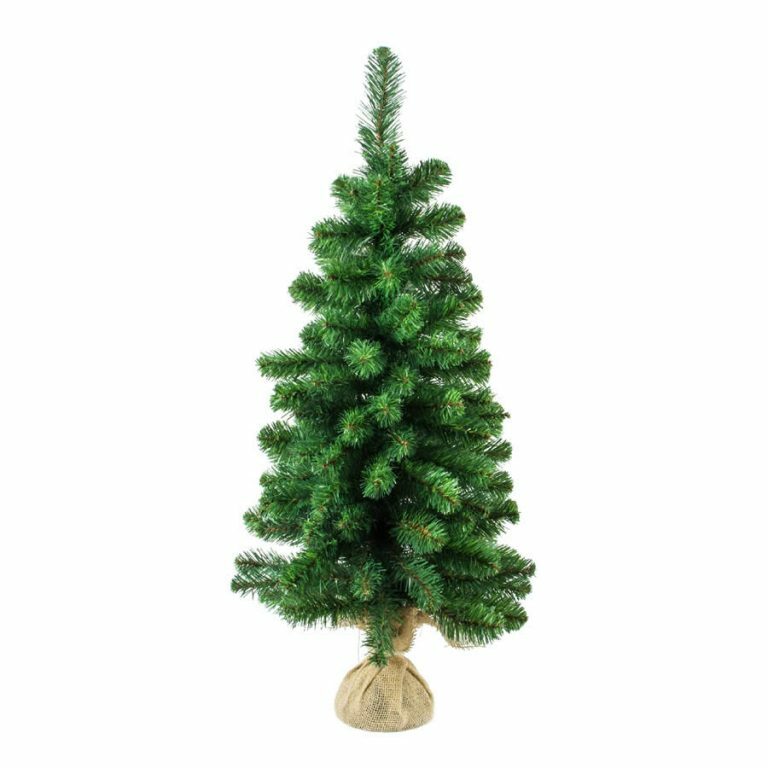 Imagine how cute this little traditional green tree with its gold bows, pinecones and baubles would look on your Christmas dinner table? 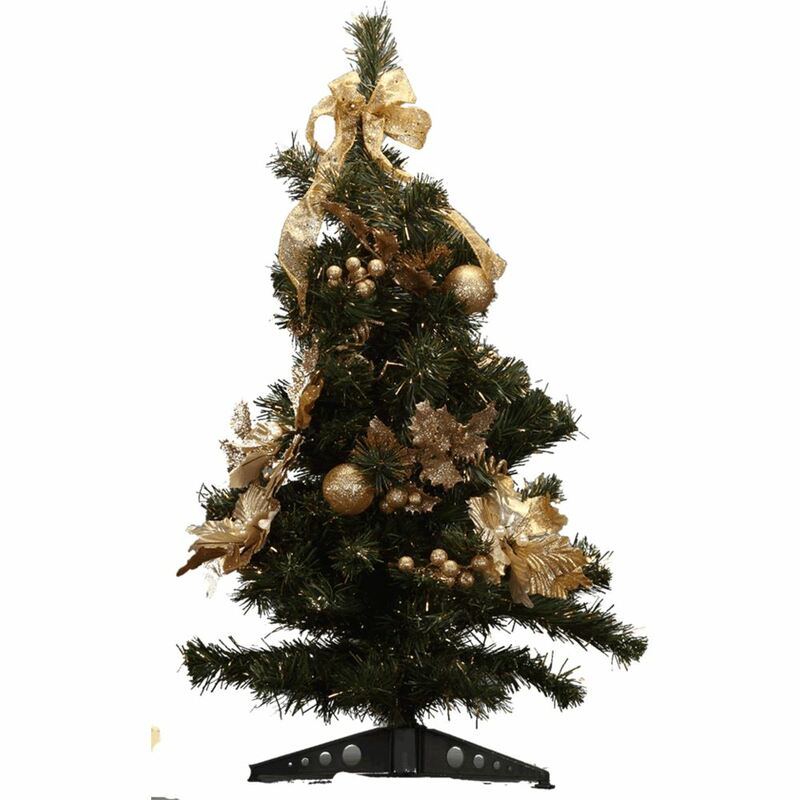 Wrap some small boxes in paper and ribbon and stack under the Gold Table Tree to create a gorgeously different centrepiece for your table this year, or take your Gold Table Tree to work to delight your workmates.